It has been said a number of times that many foster children have some type of special needs. And while that may be entirely true, there comes a point in your child’s care where your intuition will start telling you something else is just “off.” As a foster parent, you learn to expect the fallout and trauma that any new foster child must navigate and work through. You know you could be dealing with nightmares, insecurities, acting out, and academic delays just to name a few. So how can you tell if there is an underlying cause that is not from the external environment and circumstances? When should you seek out help? And what can you handle yourself? Once these questions are answered and something more seems to be lacking–it’s time to call for help. If your child is school age, you can contact the school’s guidance counselor to get the ball rolling. They will then request permission from the county to evaluate the child’s abilities and will likely send home a few questionnaires for you to complete to gain some more overall insight. If the child is under three years of age, a developmental pediatrician will start you off on the right course. It would benefit a foster parent greatly to include the child’s birth family as much as possible in the process. You as a foster parent will gain valuable information to help your child and you will make and establish trust with their birth parents. That is a win-win. When it is not possible to work with birth parents, or for additional insight, something you can and should do is to DOCUMENT everything. I can’t stress this enough. You will be able to see patterns develop and possibly catch something that you think is insignificant that the counselors or therapists will use in their evaluation. How are visits going with parents or previous caregivers? Is there still a lot of confusion for the child in regards to the long term plans for them? Have you read any health history on their birth family? Are there red flags in the area of mental health? Has any other adult in care of the child expressed concerns, whether past or present? Once you’ve answered those questions, it’s time to call in help. You need to make sure the caseworker for your child is aware of what is going on, be specific, and DOCUMENT everything. Your caseworker can point you to a licensed therapist that will see your foster child and get you moving in the right direction. 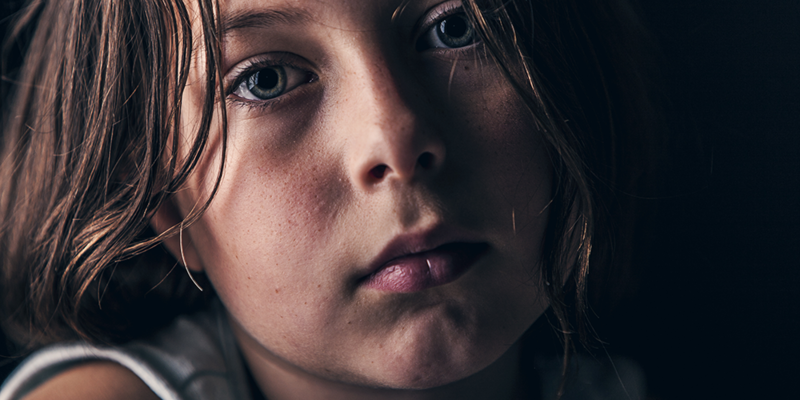 In addition to something like depression, the nature of foster care itself brings on issues like RAD (Reactive Attachment Disorder) or anxiety. There is no definitive way to know what exactly is going on without talking to a professional even though you may already have a hunch. Is what you’re seeing a product of something that is already disclosed in the initial meeting with the caseworker and is being addressed? Perhaps you just need to go over what your part in the physical therapy plan is again? Is your child supposed to be wearing glasses? When were there eyes last tested (if ever)? Do their birth parents share this odd characteristic? Have they had exposure to large playground equipment or access to cut with scissors or color with crayons? Sometimes a child comes into your home and you will already know of their physical disability and determine whether or not you are up for the challenge, but sometimes this is something discovered over time by observing the child. If something comes up that was not previously documented or disclosed, its time to call in help. Start with your child’s case worker and their pediatrician. They can refer you to physical, occupational, speech, and any other types of therapists required to help your child thrive. Be ready for lots of specific questions, so again DOCUMENT everything. All foster children have special needs. I would even go as far as to say, every child will have some type of special need that only parents will ever truly understand and appreciate. The common factors to remember when dealing with any child’s needs are to document, document, document, network with professionals in each area, and LOVE. We have been blessed with many surprises over the years in the area of special needs. We have seen RAD in all its glory, adapted our clothing expectations to accommodate Sensory Integration Disorder, rocked and sang to babies born into addictions of all kinds, handled food and milk allergies among other things; and yet, our final adoption was of a little boy who was two years old before anyone knew he was legally blind and had albinism. So it comes in all forms, foster care and biological parenting alike. With a strong network, a nearby documentation journal, some patience, and lots of love, you too can get through all of this! You are about to be a better advocate for your children’s care than you ever realized possible. Good luck fellow foster parenting navigators, you’ve got this! I am a 30-something, full-time working, real estate loving, no frills, Christian mama. My husband and I have a total of six sons and four daughters, 10 kids! Some kinship, some biological, some foster, all now adopted. Follow me at www.lifeoncloudten.com to find stories and encouragement for life, marriage, kids, and other hard work! We strive to write content that focuses on foster care, how to foster parent children, what it’s like to foster children with special needs, and more. We hope our site helps you in your journey!